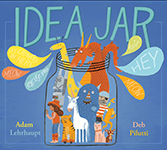 Please, Open This Book was selected as a 2015 Ontario Library Association ‘Best Bet’ and was the 2016 Wanda Gag Real Aloud Book Award Winner. Someone closed this book! Who would do that? Luckily, you can fix this. All you need to do is open it. You can do that. Can't you? 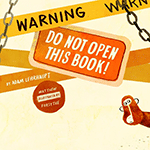 In Warning, Do Not Open This Book!, which School Library Journal called "more fun than a barrel of monkeys," turning pages meant increased chaos and delight. Now the tables have turned, and opening the book is the only way to save the desperate group of monkeys trapped between its pages. This irresistibly entertaining rescue effort puts power in the hands of the page-turner, and giggles into everyone! Where can you get Please, Open This Book? Is the place you shop not in this list? Let us know here.